Blogger, wife, mom, sister, daughter, working woman - my life is a daily juggle of various acts. When one has to manage so many aspects simultaneously, being a smart worker is the mantra. Hence, my smartphone and internet is my life saver. Like they say for diamonds, look at the 3 Cs, for internet the major aspect one looks at is SPEED. No swanky internet plan is useful if it cannot offer faster downloads. I still remember, when the gift of mobile internet first came into my hands, all I could do was to browse webpages on my phone. With technology my usage too, notched few levels high. Mobile internet today is my lifeline today and I can’t imagine a productive day when I have no access to internet. However, poor internet speed often is a turn off. How I craved for an internet that could offer me faster speed without affecting my budget! In comes Airtel 4G – The fastest network ever! With promise of fastest downloads it surely had me enticed. I am an Airtel customer for the past 15 years and swear by the excellent network. Now I was wondering, how to make my connection 4G? Its simple…Airtel 4G Sim card is just a tweet away! All one has to do is to tweet #GetAirtel4G and your 4G sim will be delivered to your home free of cost! I was all excited and immediately started imagining what I could do with my Airtel 4G! · Before my paperwalla throws tantrums at my request to deliver paper early, my mobile internet becomes my morning tea buddy, updating me on the latest news. · As I get ready to wake up little S for feed, I browse through my parenting apps to read tip of the day. · My experiments in kitchen go successful thanks to the various video recipes I view online, for I can view various ways to get the dish just right. · Then, it’s time to connect with my friends on social media platforms. · I am a blogger on the go and the moment an idea pops up, I wanna blog about it right there and then. · I am a movie buff however, always avoided downloading movies on my phone due to poor download speed. With Airtel 4G, I can get fastest movie and video downloads and can watch movies anywhere, anytime! The answer is NO. Airtel 4G comes at the price of 3G! Yipppeee! Now I know just like me, you too would be eager to get your Airtel 4G! So, what are you waiting for! Get your Airtel 4G! If I were to ask you, “What as per you are the most important things one needs for survival?” The typical answers would be – Air, Water, food, money etc etc. However, the last couple of days taught me there is something else that we take for granted however, is essential for survival – SLEEP! The last couple of months have been somewhat torturous on my sleep. The last trimester of my pregnancy, coupled with the humid sultry summer of Mumbai had me waking up in the middle of night not knowing what to do.I would simply roam around the house like a zombie, have a glass of water, feel the kicks of the baby and plug into some good music that would help me sleep. Initially, everyone would wake up with me to offer me a glass of water and suggest ways to get a sound sleep. But, soon as this became a daily phenomenon, their sleep too preferred to keep them away from giving me company. As I would crib about my sleep issues over morning tea, mom in law would try to comfort me by telling me it was perfectly normal and soon I would be able to get back to my normal sleeping routine. 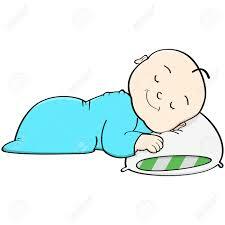 I would count the days to my due date, smile and say, “ok….x days to a good sleep”. I still remember the time when I was about to be taken to the Operation Theatre. I told my mom in law how tired I felt due to sleep deprivation and once the baby would be born, the first thing I would do would be to have 6 hours of uninterrupted sleep! She smiled and told me, “Once the baby is born, all you will do is rest, rest and rest!” What could be better best! I wondered. However, if everything goes well as planned, life wouldn’t be so exciting, isn’t it? Since the day little S was born, I haven’t been able to manage even the basic 6 hours of sleep! Mom in law and I have become such a pro at these midnight jagrans that I once even suggested her we can open our own jagran mandli! The baby, it seems is a true nocturnal, for all formulas to make him sleep at night fail. However, in the morning, when it’s time for us to get up and get going with the daily chores, little S makes up for his sleep, even without us having to make an effort. So the moment he is asleep, even if we are starving, we rush to take a nap coz we never know when the volcano erupts! I have tried to keep curtains drawn in the morning to give an impression of night. Still, he knows its daytime and he has to make up for the sleep loss. When kids are basically innocent and not knowing anything, how do they understand whether its night or day? So for all my friends who are ready to welcome the stork in their homes, I offer an advice my friends too offered me but fell on deaf ears – Make the most of the sleep time you have coz once the little one arrives, you will find sleep more precious than any other thing! P.S. I was telling mom in law how great it would be if we have a sleep God. We could appease him to make our kids sleep at night! Need I mention her reaction? Lol! Motherhood is the most beautiful phase in a woman’s life. Like all moms to be, I too had been googling on parenting during my pregnancy since I knew that post delivery, the baby would be my priority. However, once our bundle of joy arrived, I faced an issue I had not expected even in my wildest dreams! Since mine was a C section, little S and I couldn’t be together during the initial 2 days as I was still recovering from post surgery blues. The third day, when I could finally move, I was all excited to breastfeed my baby. I had read about the advantages of breastfeeding and wanted to ensure the baby didn’t miss out on the Colostrum which is packed with immunity. As I took my baby in my arms and tried to feed him, a strange issue came up. Because my baby had been bottle fed the initial days, he was no longer willing to latch. And thus began an ordeal where anybody and everybody showered me with their opinions on getting it right. After almost a month and non stop struggle, my baby and I felt exhausted and frustrated, however, I was still not wanting to give in to a formula feed diet for my baby. It was then that a friend of mine came as an angel. She suggested I try an electric breastpump, since latching or baby mood issues were no excuse to deprive baby of the benefits of breastmilk. Since I am a working mom, I also wanted to ensure that once I joined office, I manage my work and home well so that my baby could have the benefits of my breastmilk. I had heard that lactating mothers who join work gradually lose their milk supply and didn’t want my career or my baby to suffer. · After sales service – With a little baby and a thing as crucial as a breastpump, ease of service should be the top priority. A home service for any issues would be most appreciated by moms like me. My Medela Swing has made life much simpler for me and my baby. 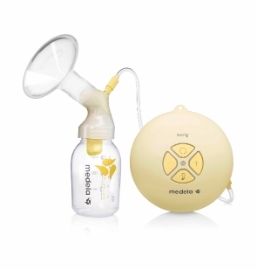 Not only is my baby able to enjoy the benefits of a breastmilk only diet, he is gradually becoming more comfortable with the latching, thanks to the Medela Calma feeding solutions. Like most women, I too had been worried about balancing my profession and motherhood, however, with my Medela Swing, I am confident about getting back to work without affecting my motherhood. · Breastmilk contains all your baby needs: proteins, fats, lactose, vitamins, iron, minerals, water and enzymes in the exact amounts required for the optimal growth and development. · Breastfed babies are healthier. Breastmilk contains substances which prevent harmful bacteria from growing in intestines and causing gastrointestinal and diarrhoeal infections. · Breastfed babies have fewer middle ear infections, fewer respiratory infections and a decreased risk of developing allergies, cancer, childhood diabetes and obesity. · Breastfed babies have a decreased risk for Sudden Infant Death Syndrome (SIDS). · Breastfeeding a premature baby decreases his risk to develop necrotizing enterocolitis (NEC). 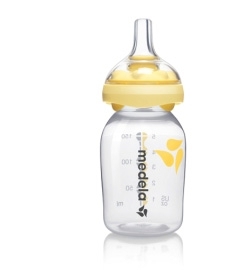 · Breastmilk is clean, free from bacteria and has anti-infective properties. · Breastmilk has the right temperature and needs no preparation. It is readily available whenever your baby needs it. · Breastfed babies are less prone to develop diabetes, heart diseases, eczema, asthma and other allergic disorders later in life. · Breastfeeding enhances brain development. Research shows there is better visual development and visual acuity in breastfed children. · Breastfeeding is more than just food. It enhances the emotional bond between the child and the mother and provides warmth, love and affection. World breastfeeding week is being celebrated from August 1-7, 2015.